If you are an Air France KLM Flying Blue member be sure to check your email to see if you were targeted for this offer. 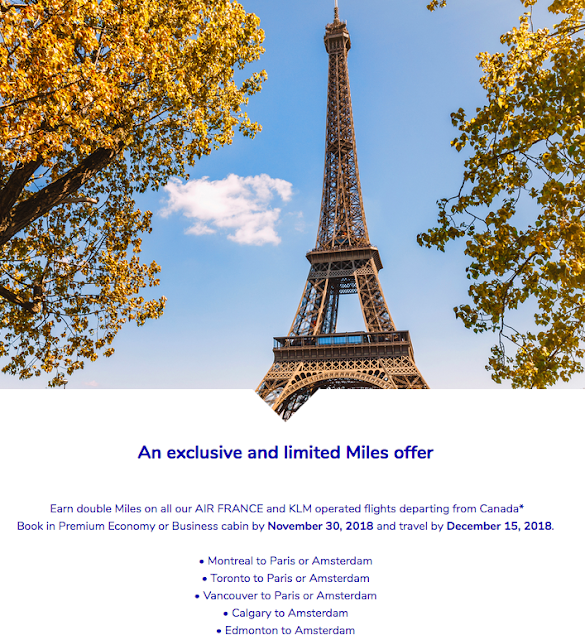 As you can see they are offering double Flying Blue miles on all of their flights out of Canada to Amsterdam or Paris if you fly in Premium Economy or Business Class. There is no registration link provided so the only way to know if you were targetted for this offer is to see if you got the email. If you did all you have to do is book your flights online at airfrance.ca or klm.com by November 30 for travel until December 15.